Potassium levels in natural seawater is normally around 400 ppm. Many reefers will report loss of coloration in corals when potassium level start to drop below 360 ppm. 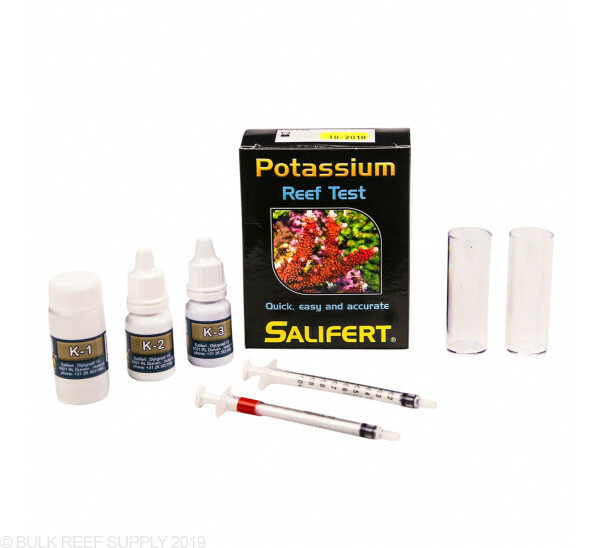 Salifert test kits have been trusted by discerning reefers for years for their ease of use and reliability. Easy to use and read results. 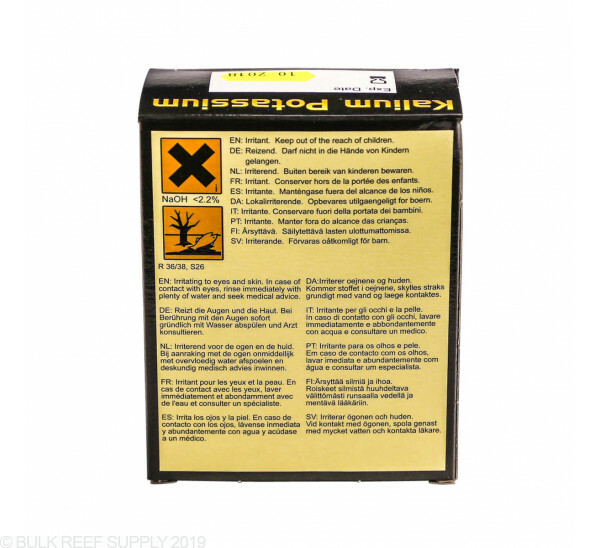 This test kit is easy to use and gives consistent readings. I like this test especially as it's pretty easy to see the change, even for a guy that's slightly red/green colorblind. Results were within what I'd expect from an ICP test so I think it's accurate enough for my purposes! This is a very good potassium test. Results are easily interpreted and accurate. Precision is not great but adequate for this kind of test. 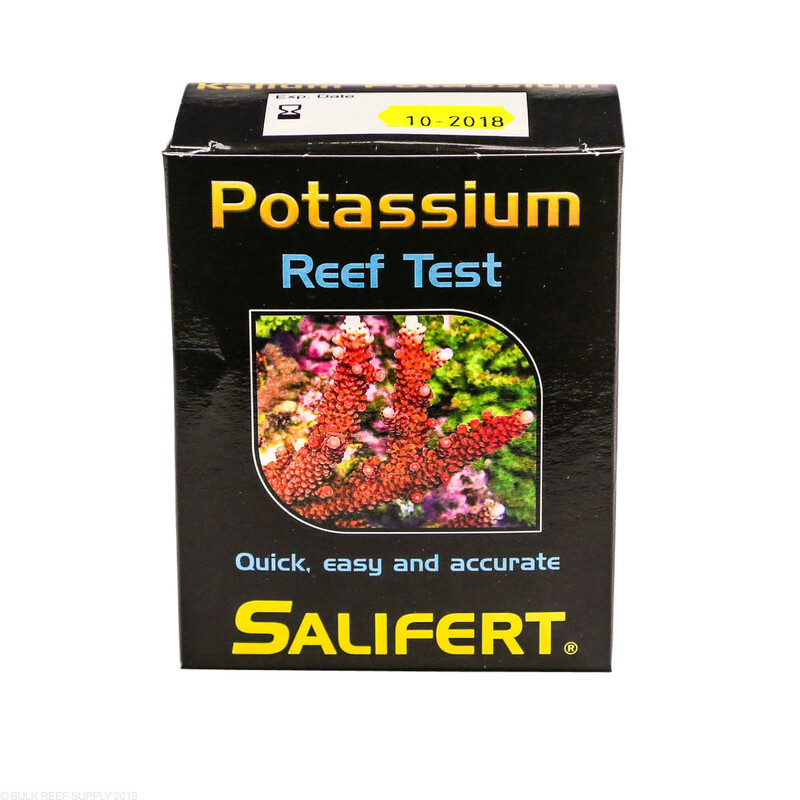 Salifert is currently my choice for routine potassium testing. Easy to use, good instructions, color change is easy to read. Highly recommend. 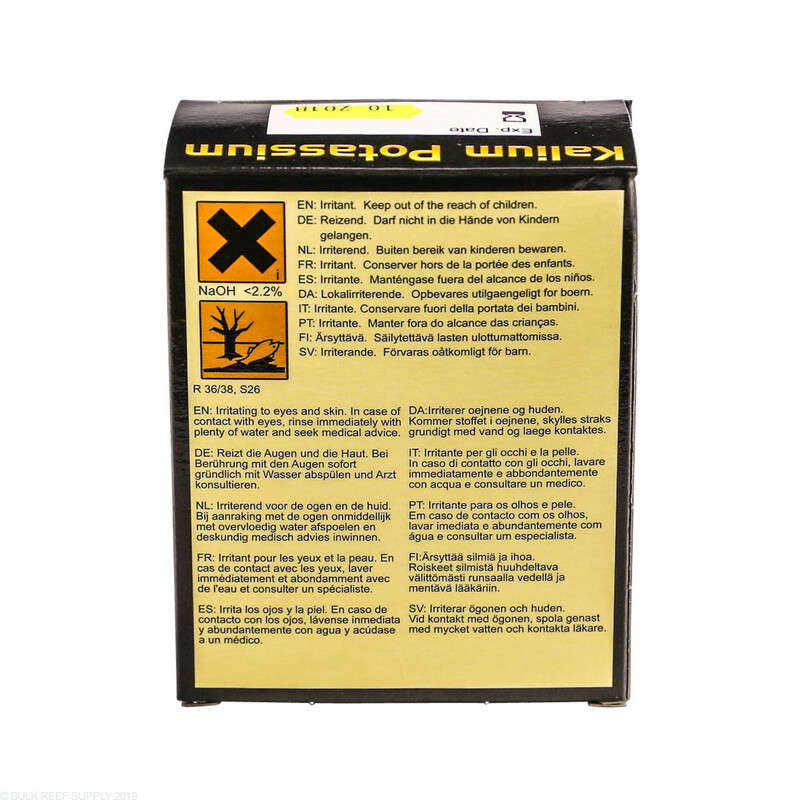 This test kit is very easy to use and has good instructions. What I like is that the color change is really easy to see. 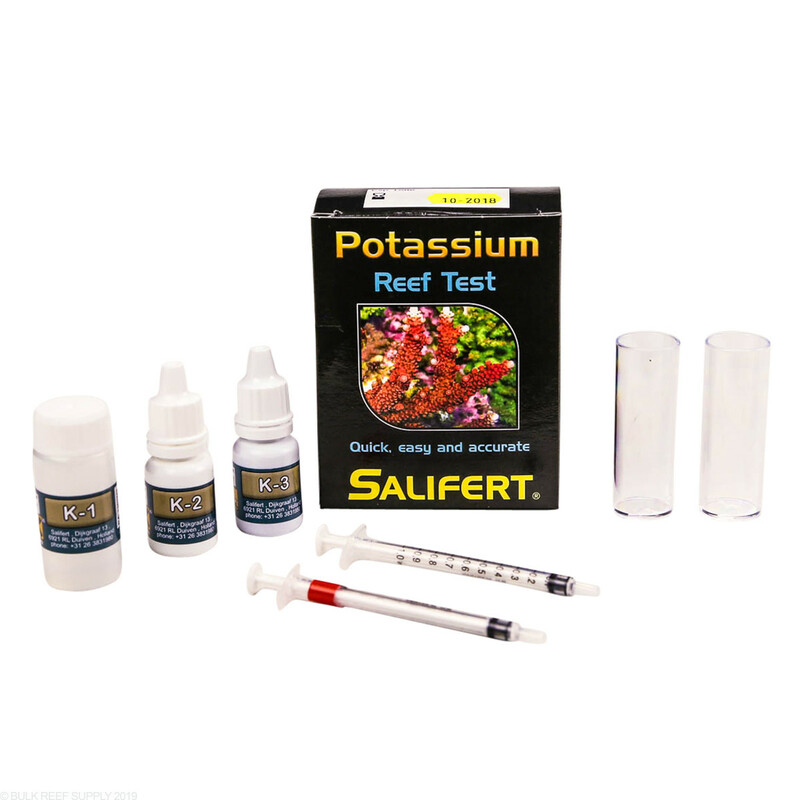 Finally this test kit is available again, I've been using Salifert Potassium for the past 2 years. Measures levels up to 470 ppm in 10 ppm increments with accuracy ( I get same results when I send samples to Triton Labs) Easy to use, accurate, inexpensive, what more can you ask for !! My tank measured ~350ppm. So I supplemented K. This is the long awaited K kit from Holland. Buy it use it and rate it. 4 starts due to not being sold in the USA readily for years, Yup. Can this be used for freshwater? 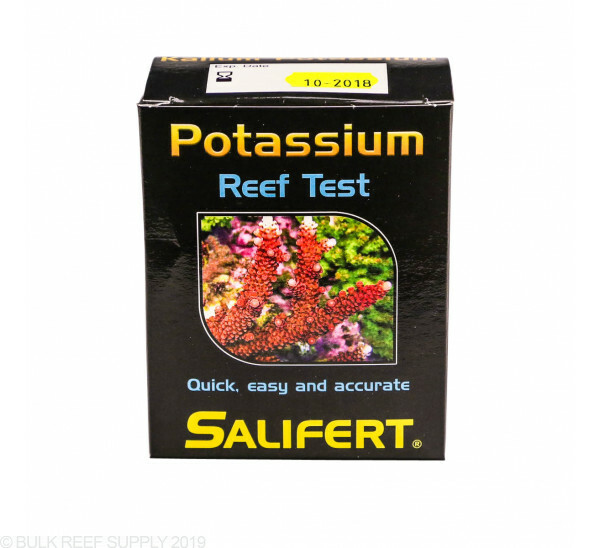 The Salifert Potassium Test Kit is designed for saltwater use.